ʻAʻohe hala ʻula i ka pō." 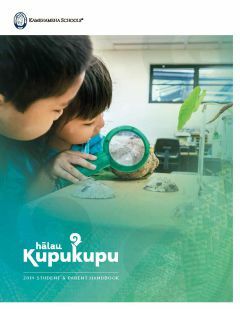 Amplify your ʻōiwi lens this summer with Hālau Kupukupu 2019. Summer courses are designed to inspire K-8 learners to innovate and explore, enabling students to engage confidently in a fast-changing world. Anchored in ancestral knowledge, haumāna will unlock deeper understandings of their ʻāina, their lāhui, and their honua. Welina mai e nā ʻohana! Welcome to Hālau Kupukupu 2019! The summer session officially begins on Thursday, June 13. Take a moment to review the Hālau Kupukupu student and parent handbook to get more information on attendance, conduct, safety & security, and transportation. New this year, high school courses are operated by Kula Kiʻekiʻe. Courses are offered for credit advancement, credit recovery, and college and career readiness through Hālau Mauli Ola, the name of Kula Kiʻekiʻe’s summer session. See the Hālau Mauli Ola summer catalog for program information and course descriptions. Registration for the 2019 summer program is closed. More information will be provided to applicants soon. Additional class specific dates will be given at the beginning of the session. How do keiki learn? Mākua can find out. KS Hawaiʻi will welcome back world-renowned neuro specialist Dr. Tracey Tokuhama-Espinosa on February 11 for a special session with makua and hoa kumu on the latest research around the brain and learning. High School students will have a new program this summer as part of our campus’ Hālau Kupukupu program. 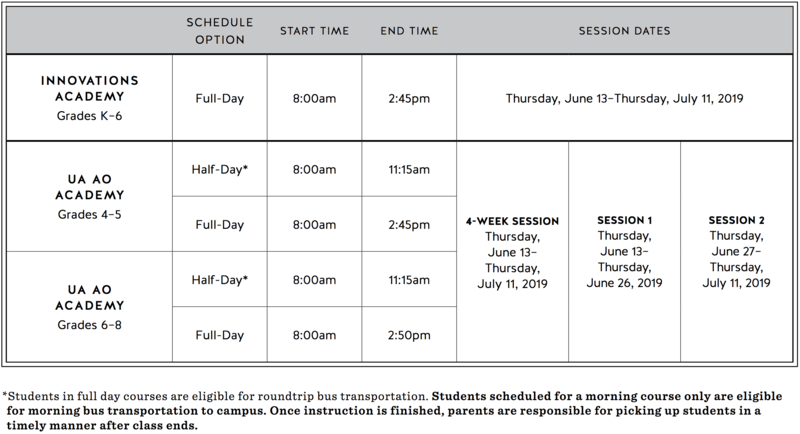 Take a look at all of the incredible course offerings from Hālau Kupukupu Summer 2019, and new Hālau Mauli Ola offerings for high school students. Registration and applications open Jan. 2, 2019.